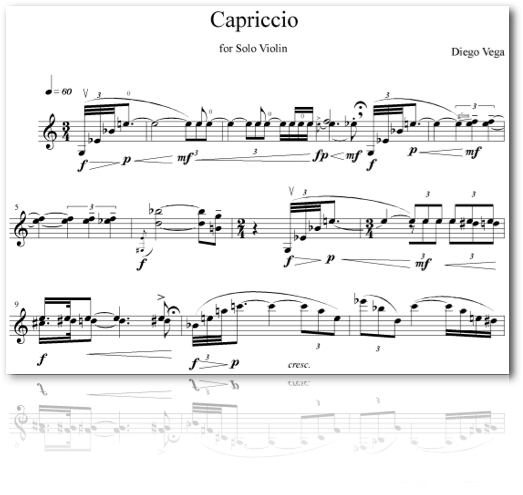 The title Capriccio comes from the lyrical and improvisatory character of this set of continuous variations for solo violin. The ascending arpeggio that opens the piece is gradually expanded and varied, growing also in intensity and expressiveness. Each new variation is accompanied by changes of timbre, attack, articulation, and register that bolster the melodic and intervallic development of the piece.